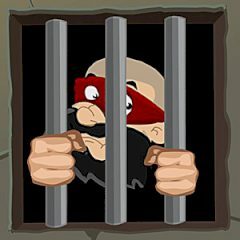 Here you have to place some of the villains in the jail, so if this sounds interesting enough for you, then give this game a chance as it’s not so often that you will be able to find a game like this one around. Actually, some of the captured prisoners succeeded to get away and now it’s more than necessary for you to give your best to bring them back where they were, back in the jail. In a faraway town, where the moon is the only light in the cold night and everything looks scary there is a man that doesn't look friendly at all.